Another description for gift economy is credit economy, discussed at length in David Graeber’s, Debt: The First 5000 Years. Graeber is an anthropologist, Bourdieu a sociologist. Unlike the supposed barter economy, which Graeber argues existed rarely, credit economies were prevalent. A bit like Wimpy and his burger, value was given today and repaid, if not Tuesday, then later. The exchange presupposed the presence of little specie, generally used only among the elite, and a settled existence with little change. Existing relations were assumed to continue far into the future, which would make waiting for repayment in kind reasonable. The legislative economy you describe seems to be a form of legalized bribery. As you say, it was legalized by its practitioners to avoid criminal liability for an ancient practice – practiced to perfection by 19th century Robber Barons, notably Collis Huntington – and to create an Orwellian euphemism, to allow its practitioners to hide what they are doing. Gift-giving is an expression of the power to give gifts and the power to stop giving them. In practical terms, the congressional GOP has been chewing over the ban on earmarks, because it removed a carrot for lawmakers to support policies, while leaving the stick of primary challenges from the right. The result is the “Freedom Caucus”. The counterintuitive conclusion might be that a strictly-defined domain of authorized corruption (e.g. the awarding of titles and gongs in the UK) is a necessary lubricant for political coalitions. I don’t think corruption stays within bounds; wherever they’re set, they never hold. 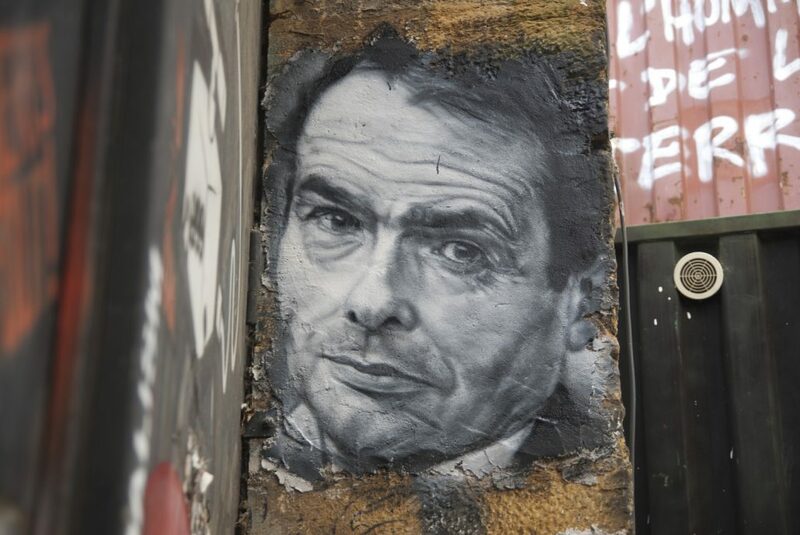 The key point from Bourdieu’s perspective is the misrecognition of the actual situation. Again, his analysis is based on his field work in Algeria with a peasant society he identified as a gift economy, one not well-connected to the market economy. He says it only worked because people mis-recognize their interest in the gifts and assign motives besides personal interest as explanations for the giving. Interdependent relationships discerned motives avoid recognition utilizing hyper normalization decorated with hyper distraction in the swamp today. Few and far between are individuals/groups with perceived reality capable of identifying, gifts, funding-speech foundations, distorting our political transactions, exchange mechanisms, away from founding ideals. Trump has just begun a Potlatch War among Plutocrats with the Tax Bill. Now all the other Chiefs have to reciprocate or loose prestige. Bourdieu did anthopological field work in Algeria. Outline of a Theory of Practice is a text that is widely read by anthropologists. One of the best descriptions of habitus, dicussed previously, appears in one of the early chapters (Chapter 2, if I remember correctly). Your discussion of the gift economy is invoking a massive and complex anthropological, a foundational text being Marcel Mauss’s The Gift probably closely followed by Malinowski’s writing on the Kula ring. A massive amount of the anthrpological literature is taken up with systems of exchange, including systems of marriage and kinship (e.g. see Lévi-Strauss). Graeber is just one of the more recent and currently well-known. This vast literature is ignored by economists, and for good reason, as it blows apart many of their most cherished beliefs. I don’t think it is necessarily useful to describe economies falling into different types. There are different types of exchanges in different contexts. While we live in a market economy a lot of exchanges involve gifts. What is bought as a commodity can be given as a gift (Christmas just past, Valentines coming up…). In some societies gift exchanges predominate, in others gift exchange. A useful way of discussing exchanges is to relate them to the moral dimension of relationships. A famous paper on types of reciprocity written by Marshall Sahlins and appears in the book Stone Age Economics. You should read that book if you want to pick up on how the ideas of Karl Polyani, that you previously discussed, were taken up into anthopology (from which Polyani himself borrowed) and debated. Anyway you can relate different types of exchanges and their moral meaning to relationship distance. You can go back and read Adam Smith, a moral phiosopher acutely aware of the moral dimensions of exchange, and you’ll find this notion nascent in his writings as well. I’m not happy with the idea of misrecognition as it is used here. It presupposes that there is some objective position from which one recognize things which strikes me as a form of misrecognition in itself! There is no outside to culture, habitus, or whatever you want to call it. If we wanted to be Foucaultian, one might just acknowledge that one is always caught up in some structure of knowledge/power. And quite honestly I don’t think anyone misrecognizes the moral (or immoral, if one must) meaning of the gift. That’s how it works! “He [Bourdieu] observed that exchanges are driven by self-interest like any other transaction.” Yes, but self-interest isn’t an objective thing (or are you fully immersed in the habitus of neoclassical economics?). What is your self-interest in a given place or time is a cultural fact. See Sahlins (which includes a nice bit on Bourdieu). A lot of Bourdieu involves discussion of how people manipulate/create symbolic/cultural capital to create distinction and produce/reproduce social order. For anyone interested in the gift economies and how they relate to economies of commodities, I would suggest reading Chris Gregory’s classic Gifts and Commodities (free online). Very helpful comment. When I re-read this post this morning, I recognized that my first sentence is not well thought-out, and I agree that all sorts of exchanges take place inside every economy. As I see it, gifts are predominant form of exchangein politics, though, because direct payment is illegal. The word mis-recognition comes from Swartz. I don’t know enough French to translate “meconnaisance”, but it doesn’t look much like mis-recognition. I suspect is is something equivalent to Sartrean bad faith, a wilful refusal to reflect on one’s actions, to become actively conscious of ones actions; or to Marxist false consciousness. As I argue in this post, there are layers and layers of smoke and obfuscation to make it easier to avoid the substance of the exchange. As to the return gifts, there are plenty of justifications that don’t carry the implication of return gift, such as expertise and potential influence. So far, there are two main things that bother me in Bourdieu’s thinking as described by Swartz. First is his claim that all actions are driven by interest. Second is his view that the reality of social change can be detected by careful observation and analysis by scientist outsiders. The first is, as you point out, a basic tenet of neoliberal economics. The second has an elitist ring that makes me uncomfortable; and remember that I am quite new to all this. I will note that Bourdieu turns the same analysis on the activities of scientists that he does on the things being studied according to Swartz. With that in mind, think of this post as looking at a small group of rich and powerful people and examining their behavior as an outsider with no direct contact with their little enclave. The category of gift exchange is in the toolbox of descriptions of small societies. And it seems to fit…. Ilana F. Silber. Bourdieu’s Gift to Gift Theory: An Unacknowledged Trajectory. Sociological Theory 27, no. 2 (June 1, 2009): 173–90. Smart, Alan. Gifts, Bribes, and Guanxi: A Reconsideration of Bourdieu’s Social Capital. Cultural Anthropology 8, no. 3 (August 1, 1993): 388–408. Discussion of gift behavior is all part of a much larger and fruitful intellectual conversation. In discussing Polanyi, and now Bourdieu, you are tapping into a huge ‘economic’ literature in the social sciences, that exists particularly in anthropology and sociology, in an intellectual universe outside and mostly unacknowledged by neoclassical economists. They can’t actually acknowledge it, as it requires engaging with Marx, actually bothering to read Smith rather than inventing arguments he never made, and reading Mauss (who I would suspect most have never heard of), Polanyi and many, many more. It requires putting culture, history, social and political relations back into economics. But they can’t do this as it involves burning down much of the Benthamite edifice of neoclassical economics. All those mathematical models and their pretensions of being the only true social ‘science’? There are over a 100 years of ethnographies, a mountain of empirical data, that make those models look very limited in their applicability if not out-right nonsense. For a discussion of the “mindless theoretical imperialism” of neoclassical economics and how it relates to classical political economy and anthropology see Gregory, C. A. Anthropology, Economics, and Political Economy. History of Political Economy 32, no. 4 (2000). Mis-recognition seems to be something that neoclassical economists are expert in. They claim what they do is a true science! For amusement, here’s a wonderful example: A hilarious piece in the Guardian by Thomas Frank on Krugman. Read the comments below. They both get beaten up. Somehow Gift Economy doesn’t quite feel right when speaking about politicians and the favors given to donors. That relationship is more like an addiction rather than an economy. Addiction is defined as: the state of being enslaved to a habit or practice or to something that is psychologically or physically habit-forming, as narcotics, to such an extent that its cessation causes severe trauma. Of course, politicians don’t suffer personal, physical trauma if they stop, however, they do stop being politicians as they lose elections from not receiving their ‘fix’. The addiction to money is the worst. The only withdrawal symptom is the craving for more money. Normally only when awake. Fascists are addicted to money. Looks like Feinstein released transcripts of Glenn Simpson (Fusion GPS) testimony on Russia. The City of Chicago was under a supervised court decree to scrutinize and route out political patronage hires in government for many years. The decrees were referred to as Shakman Decrees after the court case. I’m convinced that we need a similar kind of foundation/non-profit Shakman arrangement. Elite corruption today is about placing your friends into no-show foundation or non-profit jobs masquerading as public service. The Aspen Institute is a good example — it’s a free tax deductible trip to a mountain resort for elites masquerading as public service. Foundation philanthropy is a basically a way for an elite class to live off of investment proceeds from tax free donations and call it good work. It’s horseshit. Crony capitalism, no bid contracts, and so on, fall into the same corruption. Bribery and quid pro quo are all but deemed legal in US government in most circumstances. The practice is accepted and anticipated.